We exist to fill the unexpected needs of our carrier and private fleet customers. 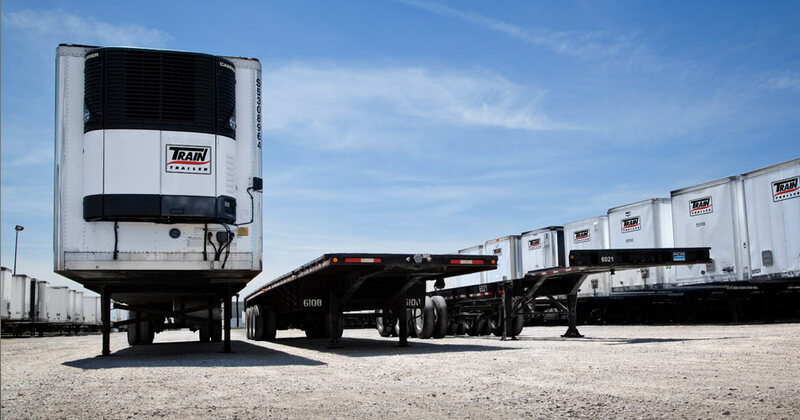 We are here to create immediate capacity by supplying late model vans, reefers, chassis, flatbed, shunt trucks and specialized equipment. Our full service facilities in Toronto, Calgary, Maple, Bolton, Napanee, Montreal and Halifax keep our equipment well maintained before, during and after your equipment rental. Breakdowns translate to time delays, upset customers and safety risks – that’s why we maintain our rental fleet to the highest standards. For your added convenience you can pick up at the facility nearest you or we can arrange for the delivery and pick up of your rental trailer(s) as part of the package. There is a 3 stage cycle to the roughly 20 year life span of a transport trailer. Based on age and road-worthiness, our equipment is rented out for highway, city cartage and storage requirements. We provide daily, weekly, monthly and yearly rentals. Your rate improves proportionately as your volume of business and length of rental increase. That’s one of the many benefits to placing all your rental requirements with Train Trailer. Our trailers are used to move all kinds of freight. We expect normal wear and tear and do not penalize our customers for putting our fleet to work. We expect and accept there will be some new marks, scrapes and scratches that are normal for the length of rental. We value your business and follow the Golden Rule: we treat our customers as we would expect to be treated.